· Performance of various types of Composite Brake Blocks and Disc Brakes. 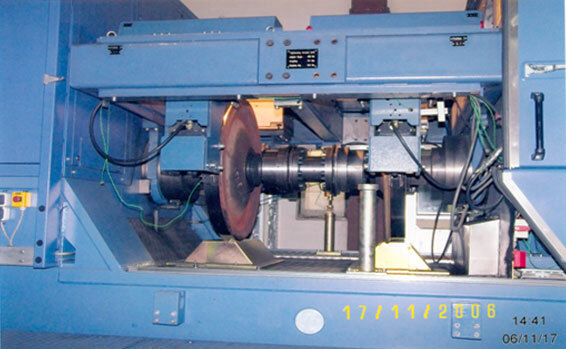 · Old brake dynamometer capable of testing upto speed of 245 kmph with 1000 mm diameter wheel and simulation of axle load upto 25t, brake torque of 4800 kg-m and brake force of 6000 kg maximum with continuous recording and analysis of test data. · New brake dynamometer capable of testing upto speed of 300 kmph with 1000mm diameter wheel and axle load 8 to 30t and brake force of 6000 kg maximum with continuous recording and analysis of test data. It has two test stations and simulation of inertia electrically in the range of 200 – 6000 kg-m². · Facility for thermal imaging of wheels during Dynamometer testing of the brake block by thermo wave camera.